Board Member since December 2013. 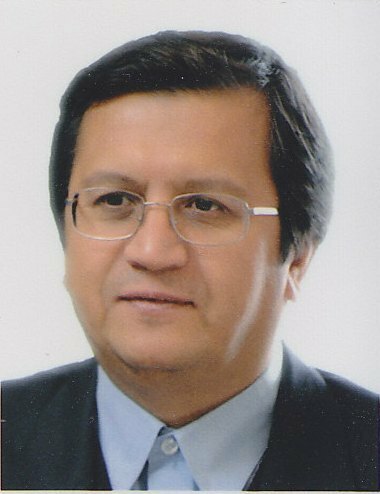 Chairman, Managing Director & Board Member of Bank Melli Iran since 2nd December 2013, Chairman of Asian Reinsurance Corporation, Bangkok, Thailand since 2001, Associate Professor, Uinversity of Tehran. Ph.D. in Economics from the University of Tehran. Over 25 years of experience as Vice-President of the Islamic Republic of Iran Broadcasting (IRIB) (1989-1994), President of Bimeh Markazi Iran (BMI) (Head of High Council of Insurance) (1994 - 2006), Chairman of Asian Reinsurance Corporation, Bangkok, Thailand (since 2001), Managing Director & C.E.O of Sina Bank, Tehran, Iran (2006-2013) and Chairman, Managing Director & Board Member of Bank Melli Iran since 2nd Devember 2013. PhD in Business Management & Accounting from Azad University. Over 30 years of banking experience holding various managerial & directorial positions in Bank Saderat Iran as: Chairman & Managing Director; BSI Board member; BSI Regional Manager; Chairman of Bank Saderat PLC - London and Vice Governor of Bank Markazi Jomhuri Islami Iran. Gulf Executive Management & Strategic Leadership Programme from Colombia University, New York. Executive Programme from INSEAD, Paris. BSC in Physics & Pure Mathematics from Riyadh University. Over 25 years or banking experience holding various managerial positions in Chemical Bank, New York. BMB Bank, Bahrain. Board Member & CEO - Taib Bank, Bahrain effective 2011. Master of Business Administration- University of Glamorgan.UK. Over 30 years of overall banking experience. Over 40 years or banking experience holding various managerial positions. Earlier served as Director General of Regional Office -Dubai, Eastern European, Far East and Central Asian Countries of Bank Melli Iran From 1996- 2001. Board Member covering International Division of Bank Melli Iran from 2001-2006. CEO - Saman Bank from 2006-2010, CEO & MD of Arian E-Bank. Managing Director & Board member of Bank Saderat Iran. BA in Engineering from Isfahan University of Technology. Over 30 years of banking experience holding various managerial positions. Earlier served as as a Chairman of the Board and Managing Director of Bank of Industry & Mine. MBA in Banking from Iranian Banking Institution. Over 27 years of international banking experience holding various senior managerial positions in Bank Saderat Iran as : General Manager of International Division & Regional Office Dubai & General Manager Bank Saderat Iran branches. BA in English Language, Tehran University. Over 42 years of overall banking experience. Holding senior managerial positions in Bank Melli Iran as Assistant Director of Bank Melli Iran, International Division, Tehran; Manager of Bank Melli Iran, Dubai Main Branch. Copyright © Futurebank, Bahrain. 2009 All rights reserved.